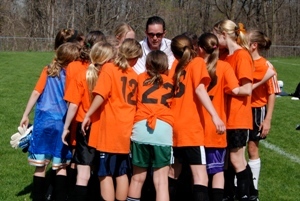 The Soccer Club of Ridgefield (SCOR) is one of the largest soccer clubs in Connecticut. Located in the Town of Ridgefield in southwestern Connecticut, over 1600 boys and girls participate in 103 Recreational Teams, 22 Travel Teams, and 5 Premier Teams. More than 250 volunteers support our program which has both a Fall and Spring Season. SCOR is affiliated with the Connecticut Junior Soccer Association (CJSA), and as such, is affiliated with the United States Youth Soccer Association (USYSA), subsidiaries of the United States Soccer Federation (USSF), and in turn, the Federation Internationale de Football Association (FIFA), the world governing body of soccer. SCOR is located in the Southwest District of CJSA, which includes all of Fairfield County. SCOR exists for the sole and exclusive benefit of the young men and women who participate in the programs sponsored by SCOR. The purpose of SCOR is to provide a safe and fun environment in which the youth of our community can develop a love and appreciation of the game of soccer, develop as players and athletes, learn the ideals of good sportsmanship, build character and develop as responsible citizens. All those participating in any such program will be required to remember that the building of character and the development of responsible citizens are of primary importance, while attaining exceptional athletic skill or winning games are secondary.